This month's Brilliant Activities for Birth Educators idea comes from Gabrielle Volkmer, an ICEA certified childbirth educator living in Lincoln, NE. Gabrielle works hard during her class time helping families to understand the importance of informed consent and refusal and their rights as a pregnant and laboring person to make decisions that are in line with their values and wishes. Gabrielle shares her creative idea here with Science & Sensibility readers. You can read all the posts in theBrilliant Activities for Birth Educators series here. - Sharon Muza, Community Manager, Science & Sensibility. "I told them that I didn't want to push on my back but they made me. I didn't have a choice." "They wouldn't let me get up to go to the bathroom." "I didn't know I could wear my own clothes at the hospital. They told me I had to wear a hospital gown." Have you ever heard a student say something like the comments above? 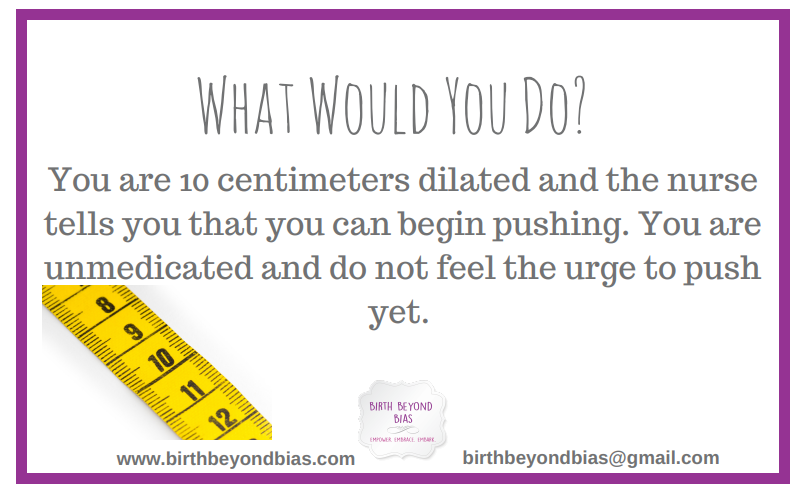 I have, and I've talked to other childbirth educators who have heard the same things. When I first started teaching childbirth education, I quickly discovered new parents can't simply be told their rights: It is much more effective to show them how to apply them. Informed consent and refusal is not only important during pregnancy and birth, but it will be a critical part of parenting a child. Parents will need to advocate for their child's care and make decisions for many years to come that impact the family. This activity is intended to facilitate a thorough discussion of an expectant couple's legal rights and the informed consent/refusal that may provide during their pregnancy and birth. Conducting this exercise in class helps illustrate their rights in a very powerful, memorable way. I typically use this activity during week four of a six week series after we have talked about various interventions they may face. I tend to allow about 20 minutes to complete the entire process. I always start the discussion for informed consent with a rousing game of BINGO. I created it using this free BINGO sheet generator. You can find the link to my BINGO word phrases here. Copy and paste these phrases into the generator. Then print out each statement and put them in a container to draw at random. As you read each statement, add your own personal notes and engage your students. For example, when I draw "Every person has the right to accept or refuse procedures, drugs, tests and treatments, and to have their choices honored. They have the right to change their mind." I say something like, "So let's pretend your nurse offers you an epidural and you decline. Just because you say 'no' at this point in your labor doesn't mean you can't have one later. If a time comes that you decide you want one, you are absolutely free to change your mind." This concept may sound simple, but reinforcing these rights with concrete examples really helps parents understand their very specific rights. I end the activity by distributing the handout The Rights of Childbearing Women and encouraging parents to read it outside of class. 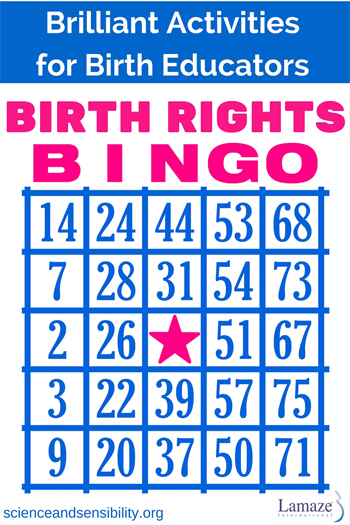 Once you have covered a family's rights by playing BINGO, I like to discuss example stories that they may run into. 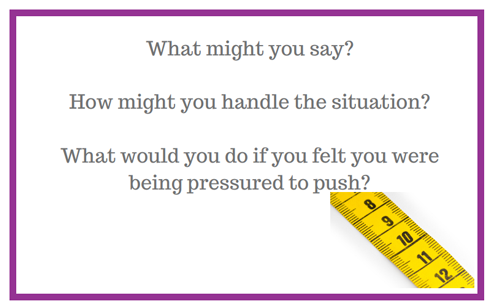 I created various scenarios I've heard come up frequently and printed them on cardstock, titled, "What Would You Do?" You can take a look at or print these cards here. Before beginning this exercise, it's vital to stress that there are no right or wrong answers - that the point of the exercise is for families to realize that they have options. I hand everyone a card and tell them to look it over for a few minutes. On the back of the card, I have listed out some specific questions in case they need help in get the creative juices flowing! 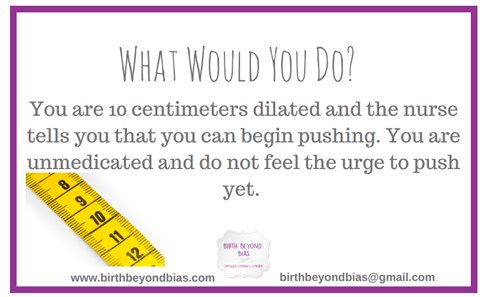 For example, one of the cards reads, "You are 10 centimeters dilated and the nurse tells you that you can begin pushing. You are unmedicated and do not feel the urge to push yet." After giving everyone a few minutes to think, I choose someone to start.. I ask them to read their scenario aloud. I then ask, "What would you do if you were in this situation?" Sometimes the person is forthcoming and has lots of thoughts to share; more often I have to ask leading questions, often rewording the ones from the back of the card to suit the individual. I frequently reiterate that there are no right or wrong answers here and that the important thing is that families know they have a choice. The cards I created cover issues I have heard many of my students talk about. I have found that showing a family that they can say yes or no to anything - even something phrased as an order or that seems insanely simple (like the fact that they don't have to wear a hospital gown!) - is a far more effective teaching moment than just "listing" off their rights. 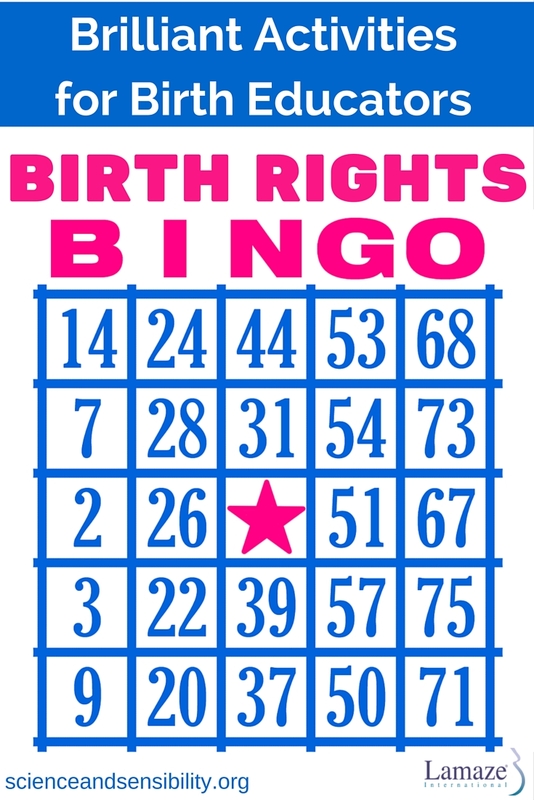 After this activity, couples are generally engaged and excited about their birth rights. It is one of the most well received activities in my classes! After the births, families frequently relate to me how they applied what they learned during their labor and birth and how they appreciated the opportunity to practice these skills during our class time. Gabrielle Volkmer is a certified ICEA childbirth educator, postpartum doula, blogger, wife, and mother. 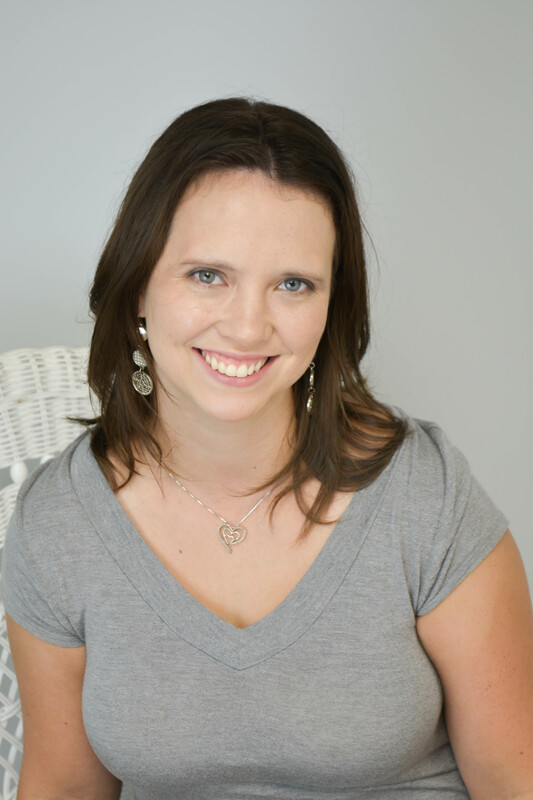 She writes the Birth Beyond Bias blog, providing insight and inspiration to thousands of readers. Her writing has also been featured around the web on sites such as The Huffington Post, BabyMed and The Birthing Site. When she isn't teaching, talking or writing about birth, Gabrielle enjoys writing and playing soccer.